Vernetta Sanders was born Vernetta Alexander on January 14th, 1928. She was the fourth of six children born to Louis (Pearlie McDonald) Alexander. She attended grade school throughout the South Bend School Corporation. She was a domestic worker for many prominent families of the South Bend community. Her early years she played with the “big swing bands of the forties”. Her forte was the piano. After accepting Christ in her life with baptism under the Holy Ghost At Christ Temple of Apostolic Faith, Indianapolis, IN, she devoted her life as a church musician for New Bethel Tabernacle Pentecostal Faith. She played under the stewardship of: Elder J.R. Freeman, District Elder Ardell Sanders, and Bishop Cecil Golder. 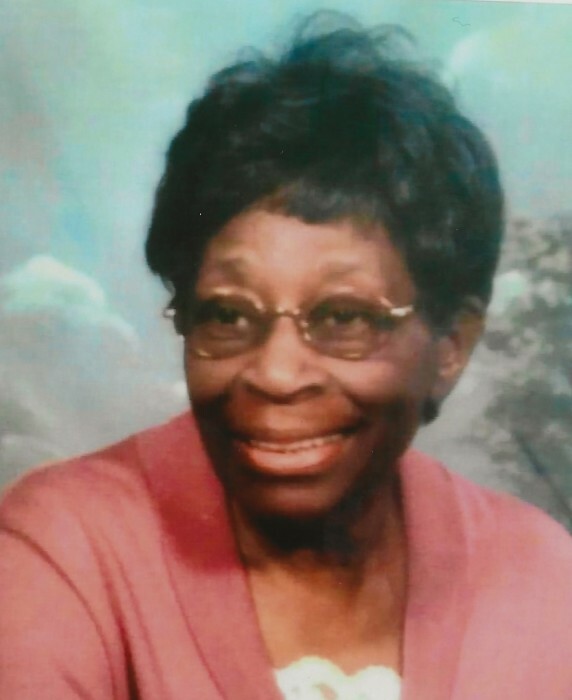 She was married for over twenty years to Pastor Ardell Sanders that proceeded her in death. She departed life on August 30, 2018 in the care of her nephew, Phillip Dixon. She leaves in this world: grand-children, great grandchildren, nephews, nieces, cousins, and a host of saints and friend. Services for Mrs. Sanders will be Thursday, September 6, 2018 at 12 noon with a viewing one- hour prior at New Bethel Tabernacle Church located on 2627 Napier St, South Bend, IN 46619.